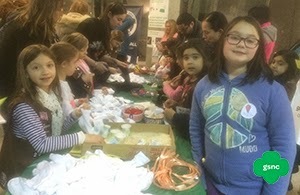 On February 27, 2015 Girl Scouts of Nassau County in partnership with the Cradle of Aviation hosted the third annual Invention Convention for Girl Scout Brownies. The event was a magical experience for girls, teaching them about the history and processes of inventing. Girl Scouts celebrated the contributions of female inventors like Mary Anderson who invented the windshield wiper, Gertrude Belle Elion who invented the key ingredient in chemotherapy and Stephanie Kwolek who invented Kevlar, the main ingredient in bullet proof vests. Girls were excited to learn that a 10 year old Girl Scout named KK Gregory invented fingerless gloves called Wristees and more recently 13 year old Girl Scout Brooke Martin invented iCPooch, a computer application that allows owners to video chat with their pets and remotely dispense treats. As part of the program, girls conducted mechanical, electrical and aeronautical experiments; they were quick to connect problems with solutions and began thinking like inventors. They learned that many inventions were created by adding to or subtracting from existing objects. Girls practiced both methods at the Sock Station; where they added rice to a sock to create a functional heating pad and cut tube socks to create hair scrunchies. Throughout the evening Girl Scouts were greeted by Cadets from SUNY’s Maritime College who shared their plans to make the world a better place by studying engineering and serving as sailors. 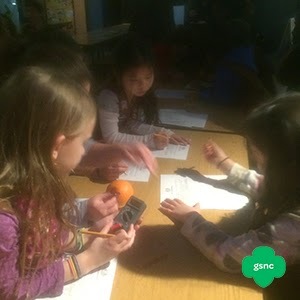 Why Girl Scouts By Guest Blogger Katie L.
Girl Scouts has taught me to grow as a person, and to push myself to be the best possible me I can be. With my Troop, I have gone camping several times, toured Washington D.C. and had a really fun weekend at Woodloch Pines. I have earned my Bronze and Silver Awards, and am now finishing up my Gold Award*. My Troop and I have earned countless badges, gone on ‘Journeys,’ sold tons of cookies and done many hours of community service, and with each activity I’ve learned something about myself. As a Theatri-gal I got to practice my improvisation and performance skills. 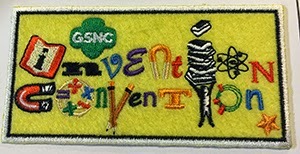 As a GSNC Media Girl I have learned to speak confidently and grow my leadership skills. 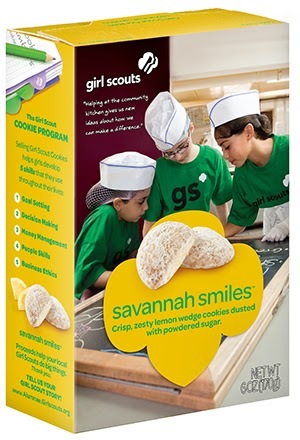 I have appeared on TV, recorded a public service announcement for radio, and am even on a Cookie Box! 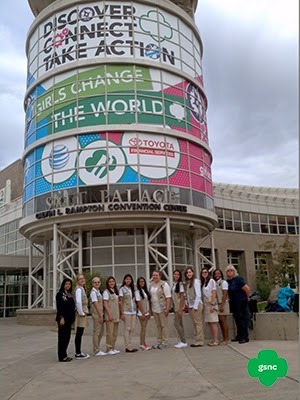 This past October, I had the opportunity to go to GSUSA’s Convention in Salt Lake City, Utah, as part of a delegation of girls who participated in their Leadership Institute. It was so much fun! I got to meet so many Girl Scouts from around the United States, hear some really inspiring speakers, and discuss real world problems with other girls in the Institute. It was a wonderful experience that I will never forget. So thank you to Girl Scouts for all of these opportunities, I wouldn’t be the person I am today without you. *Since writing this article, Katie completed her Gold Award Project and has officially earned her Gold Award. Bullying – Behavior that is repetitive and done with the intent to harm someone. Bullying includes actions such as making threats, spreading rumors, attacking someone physically or verbally, and excluding someone from a group on purpose (U.S. Department of Health & Human Services). Bullying and cyberbullying has taken center stage in the media. A recent case is a YouTube video of a group of middle school students bullying an elderly bus aid. These videos and scenarios show that bullying comes in many and some unexpected forms. With a group of friends and an adult, discuss the following questions. What do bullies do? Do you know anyone who is like this? How did it feel? Have you ever felt very sad or angry? What did you do about it? When you see someone being mean or bullying, what can you do about it? Research bullying and cyberbullying. Find examples on YouTube, in TV Shows and on the internet. Once you have researched and discussed bullying, create a Public Service Announcement (PSA) that explains what bullying is and why you shouldn’t bully others. Your PSA can be in the form of a video, PowerPoint presentation or poster. Here are some possible points to raise awareness and increase understanding of bullying and cyberbullying. Discuss the different methods of bullying. Discuss morals, ethics, and responsibility. Discuss differences in people: cultures, weight, different ways kids and teens act and dress, disabilities and other differences. Talk about the fact that it's okay to be different, but it's not okay to make fun of or harass someone if they are different. For more information about relational aggression and to see how Girl Scouts of Nassau County helps the community deal with it, go to www.gsnc.org/criticalissues.